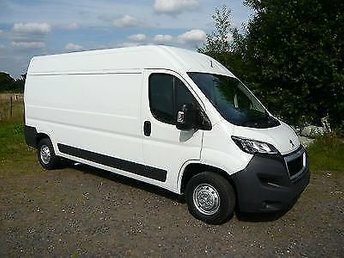 Here at Hartwright Commercials (Stourbridge) Ltd we regularly stock an excellent selection of used Peugeot vans _ vehicles designed to make businesses more productive and keep costs down. The French manufacturer's line-up includes compact panel vans like the Peugeot Bipper _ a vehicle that's affordable to run and versatile too, with excellent environmental credentials. The Peugeot Partner Electric has a range of 106 miles, making this a great option for companies intent on reducing their carbon footprint without compromising their day-to-day operations. Find out more about the complete range of used Peugeot vans for sale in Stourbridge right now by speaking to a member of the team at Hartwright Commercials (Stourbridge) Ltd. You can view our latest stock here on the website and arrange a test drive by contacting the showroom. Finance is available to UK residents aged 18 years or older, subject to status. Terms & Conditions apply. Indemnities may be required. Other finance offers may be available but cannot be used in conjunction with this offer. We work with a number of carefully selected credit providers who may be able to offer you finance for your purchase, commission may be received. We are only able to offer finance products from these providers. Postal Address: Hartwright Commercials (Stourbridge) Ltd, Sugar Loaf Farm, Sugar Loaf Lane, Iverley, Stourbridge, Staffordshire DY7 6PT. Find contact details here.